The topic of retail employee satisfaction is coming up more and more frequently in today’s news, as millennials are forming a new generation of workers with a fresh perspective on workplace happiness and different demands than previous generations. 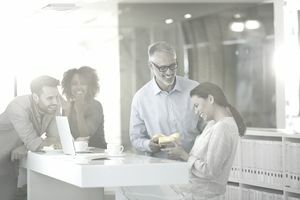 Company managers and CEOs are now clueing themselves into what their retail employees want; because they know greater employee satisfaction is one key to improving the entire organization’s bottom line. One great way to improve employee satisfaction is to celebrate their work anniversaries in a special and innovative way. It may surprise you, but recognition matters more to employees than money, according to a 2013 study conducted by leading employee motivation firm Make Their Day. Read on for five ideas guaranteed to please. Work anniversaries are the career equivalent of a birthday. Employees remember them, and you should as well. Everyone loves small gifts on their birthday, so think about what your employee likes and purchase something special. It doesn’t have to break the bank, either! A gift basket from FTD is often a good choice, and most can be purchased under $50. Are they health nuts? Gift them a gym membership. Are they known to have a sweet tooth? Try the Mrs. Fields cookie basket. Whatever you do, don’t gift money, says HaveaGreatDay.com. Cakes and balloons are nice, but when every employee gets the same celebration, it can appear a bit robotic and insincere. Personalize the acknowledgment with a hand-written card, a heartfelt email or personal visit. Tell your employee exactly what their time in the last year has done to contribute to the betterment of the organization. Maybe it’s a cheesy customized trophy, or it could be a special coffee mug — anything a retail employee can be proud to show that he's been working there for a certain number of years makes people feel good. Make sure the award is on public display so the customers can see it as well. Award him his well-deserved prize in a short celebration ceremony, so he really feels likes the champ he is. Employees are motivated by recognition, but they’re also motivated by a clear path to growth. If possible on their anniversary, sit down with them and discuss where they’re currently at in their position and ask them where they’d like to go in their next year there. Not only does this make your employee feel empowered, but it also helps you get a better gauge on everyone’s future goals. According to PayScale.com, maintaining career development plans is one of the best ways to keep your best performers. Maybe your employee really needs a few hours to detail his car. Or maybe she has been hoping to carve out some time to get to the salon. Your employees work hard for you with long hours and weekends, so gifting them a few hours of free time to run errands, take a nap, enjoy lunch with their family — whatever! — It is always very much appreciated. Our lives get so hectic so that this small reward can pay you back in productivity and motivation tenfold down the line. Did You Know You Can Contact the Starbucks' CEO?